The digital world continues to evolve and open up new opportunities for marketers. Here are some marketing strategies you should add to your playbook in 2016. Several entrepreneurs were asked, “What is one digital marketing strategy that has been effective for your brand?” Several cite some new ways to use established social networks. Others focus on techniques used for inbound marketing. 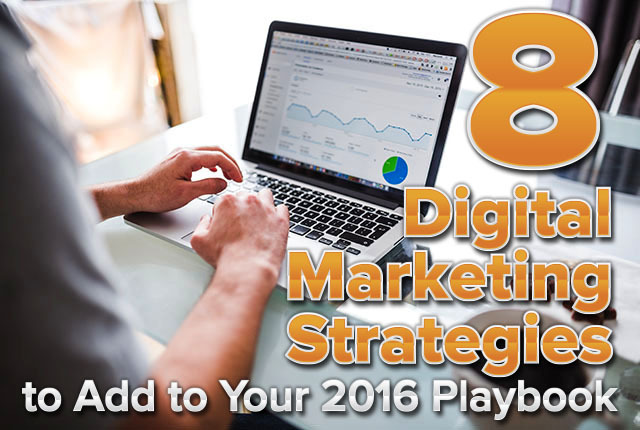 All are worth consideration when planning your digital marketing strategies. Source: The above answers are provided by members of Young Entrepreneur Council (YEC), an invite-only organization comprised of the world’s most promising young entrepreneurs. In partnership with Citi, YEC recently launched BusinessCollective.